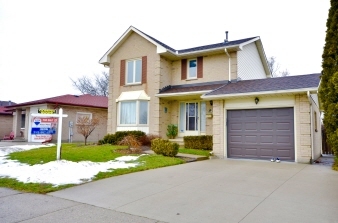 Pride of ownership very evident in this wonderful 2-Storey, 3 Bedroom Family Home with attached garage. Ideally located close to schools and across from a splash pad and park. This home features hardwood floors in Living and Dining Rooms, stunning sun-splashed Kitchen with separate island and direct access to the fully fenced Back Yard where you can enjoy family BBQ's. Upstairs there are 3 spacious Bedrooms. Master Bedroom with cheater En-suite. The Lower Level is finished with a large Rec Room and handy 3-piece Bath. Other updates include all appliances, central air and more. Truly a fabulous home!